Mercado is a restaurant buffet within the Resorts World Manila Casino. A lot of their customers are patrons and casino-goers. 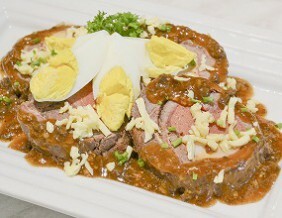 Mercado offers not only common Filipino dishes but also a variety of Asian and Western cuisines. 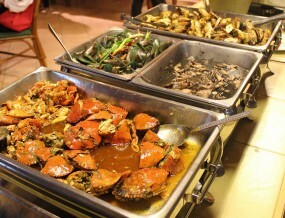 Unlike other restaurant buffet, Mercado offers limited food choices but everything is, without a doubt, delicious. If you want to eat in a buffet restaurant and leave with a satisfied stomach and wallet, then Mercado is one of the best choices for you. Lola Cafe is a stylish restaurant along the street of Sct. Lozano in Quezon City. It is an old house renovated to a modern restaurant, but it hasn’t lost its homey atmosphere. One of their best-sellers is the Kimchi Kaldereta and longganisa sausages. Another must-try is the Tartufo Pasta made with truffle oil. Don Juan Barbeque offers Filipino dishes, such as yellow ginger adobo (P 120) and ihaw-ihaw (grilled chicken stick for P35, pig’s knuckles for P75, rear end for P80). This store is located at the right side of the Taal Market. You’ll feel refreshed from the Philippines’ hot weather once you step inside this restaurant. You’ll experience a comfortable ambiance, just like when visiting your neighbour’s house. 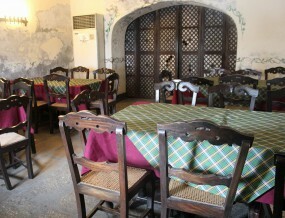 The restaurant’s interior reminds you of the old houses of the Spanish era. 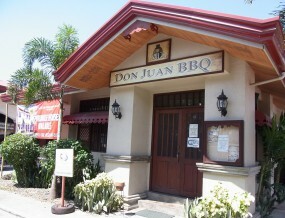 With its brick roof and windows made from Capiz shell, Don Juan BBQ irrefutably gives off a chic and warm ambiance. 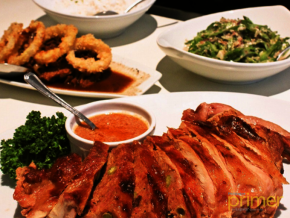 There are 5 branches of this popular Filipino restaurant around Cebu. 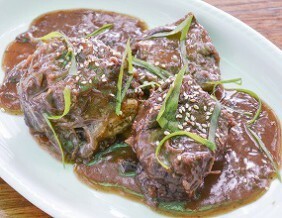 Crispy Pork Kare-kare (P 250) is the Golden Cowrie’s featured dish. 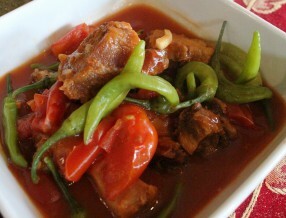 It has also been chosen as Cebu’s best Kare-kare. This dish uses a sumptuous peanut paste, and once you start eating the vegetables with bagoong, you’ll never stop. 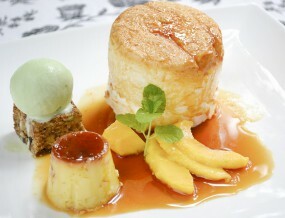 Bistro Coron is a restaurant that has been serving both Filipino and French cuisine for 9 years. The Double Herb Meat Fillet served with Butter Sauce (P215) is the restaurant’s star dish which has 5 side dish choices: boiled potatoes, sautéed potatoes, French fries, rice, and spaghetti. In addition, the meat fillet in this dish can be beef, chicken or pork. At night, this restaurant transforms into a bar where you can enjoy a drink or two. ‘Bistro’ means “a small restaurant that can be used with ease” in French. The Bistro Coron is exactly as its name suggests. This restaurant is well-liked by tourists and local people. Nanay Bebeng is famous for its eat-all-you-can buffet. It also amazes its customers because of its low prices and great quantity. 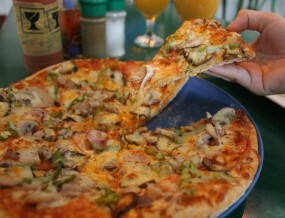 Plus, they can choose from 9 kinds of main dishes, 7 appetizers, 5 kinds of desserts and soup for only P320! The fresh tuna, which is cut into chunks, is especially remarkable because it doesn’t have a foul smell. This dish is served with Japanese soy sauce. 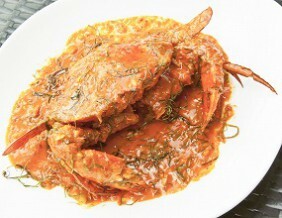 Nanay Bebeng is always full of Filipino and tourist customers because of its fresh dishes such as Teriyaki Swordfish and Stir-fried Crab in Oyster sauce. 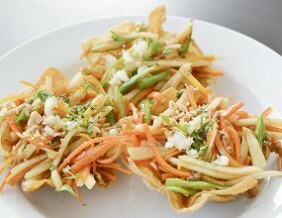 If you want to feel the local atmosphere here, visit Luz Kinilaw! This restaurant has been cooking skewered tuna fillet over charcoal fire for 43 years. 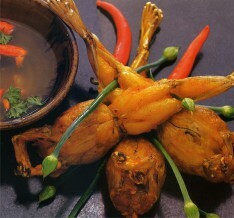 This dish is very popular among locals and travelers alike. Luz Kinilaw gets their fresh tuna from the harbour of General Santos City. This restaurant is also a part of the LJC group, which is known for the expansion of Café Adriatico, Bistro Remedios and many more in the Philippines. Lorenzo’s cuisine is actually the main dishes of its other restaurant affiliates: half of its menu is Filipino, while the other part is European. Dishes are at reasonable prices, so you don’t need to fret over your budget. Try their bulalo for only P240 and and their pinakbet for P275. The sweet chili mango Tilapia (picture 1) is one of Lorenzo’s popular dishes. 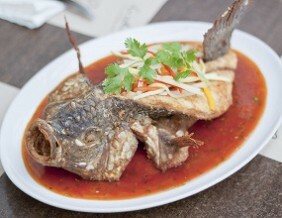 It is a crispy boneless tilapia dish with chili sauce, topped with green mangoes, onions, coriander, etc. 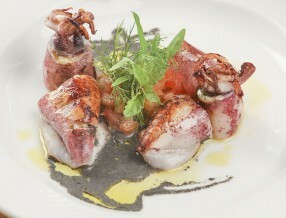 The original menu, plus, the bold arrangement in its dishes is something that Damaso is proud of. Its entire menu is full of originality and it is said that its menu is inspired by ‘Noli Me Tangere,’ a famous book that is written by the Philippines’ national hero, Jose Rizal. 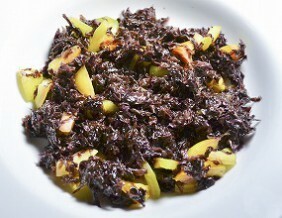 Placido Penitente (photo 1) is a risotto using Northern Luzon’s exquisite brown rice, topped with white fish and baked squid. Customers usually add a hint of lemon to it for a refreshing taste, Smoked BBQ Mango Pork (photo 2) is Damaso’s recommended menu. 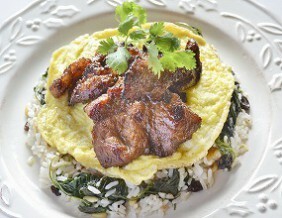 It is grilled pork that is suited with fried garlic rice, spinach, and nuts. Since its opening in 1979, this well-established café is loved by many patrons and is considered as Manila’s original bistro (a restaurant for the masses). 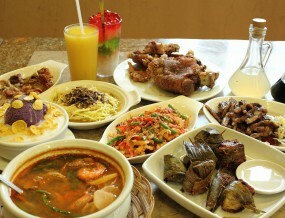 Filipino cuisine, Western cuisine and rich liquors is enjoyed in here. The wood interior of this restaurant gives off a classical feel, making it a perfect place to just chill out with friends. Its refined atmosphere has attracted many college students and artists, which actually led in nurturing the youth culture of Manila. 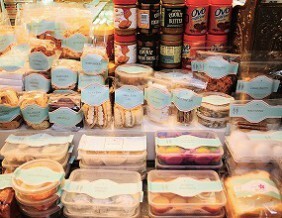 You can find Cafe Adriatico at the open space café, which you can’t overlook. 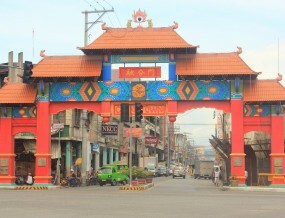 It faces one of the landmarks in Malate District and Remedios Circle. Café by the Ruins has a reputation of serving European and local cuisine with an “All Fresh and Organic” concept. It uses plenty of vegetables in its dishes and bakes its own bread and scones. Some of the café’s desserts are chocolate fondue (P120), which is served with a lot of strawberries, and the strawberry shake (P150). It is already a part of the restaurant staff’s routine to pick strawberries in the morning and use bountiful of them in its desserts.